The 2015 Denver International Wine Festival happens next week! The 11th edition will take place from Wednesday October 28 to Friday October 30, 2015…just in time for Hallowine! DIWF Deal Blotter: If you have been holding off and waiting for a deal, there are a couple of promotions that might entice you! Pairsine Chefs Fine Food and Wine-October 29, 2015- Westword75 This event is like Iron Chefs meets really amazing wine. 11 top chefs will create 22 gourmet pairings. There will be more than 40 Gold Medal wines from the 2015 Denver International Wine Competition. --> The 5th Annual Boulder Burgundy Festival officially happens October 22-25, 2015 in Boulder, Colorado. 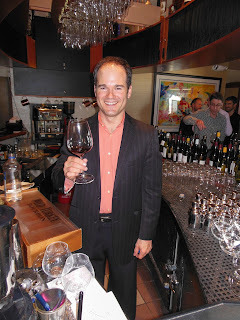 But Brett Zimmerman, festival founder and Master Sommelier, welcomes two Burgundy heavyweights at a bucket-list level Burgundy wine dinner at Mercantile Dining and Provision (Union Square), Denver on Tuesday October 6th. This dinner is clearly the Denver first-taste of The Boulder Burgundy Festival. Chef/Owner Alex Seidel has created a mouth-watering 5-course menu suitable for heads of state!